This 3rd Grade Easter Math Color-by-Number Activities Pack includes 6 exciting mystery pictures for celebrating Easter in math class! 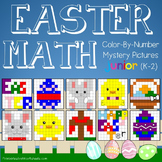 These are not your ordinary math mystery pictures... these pictures require students to practice a variety of key math skills that they've learned so far this year. This 5th Grade Easter Math Color-by-Number Activities Pack includes 6 exciting mystery pictures for celebrating Easter in math class! These are not your ordinary math mystery pictures... these pictures require students to practice a variety of key math skills that they've learned so far this year. 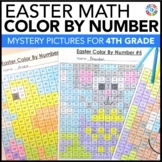 This 4th Grade Easter Math Color-by-Number Activities Pack includes 6 exciting mystery pictures for celebrating Easter in math class! These are not your ordinary math mystery pictures... these pictures require students to practice a variety of key math skills that they've learned so far this year. 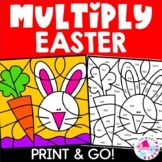 This 2nd Grade Easter Math Color-by-Number Activities Pack includes 6 exciting mystery pictures for celebrating Easter in math class! These are not your ordinary math mystery pictures... these pictures require students to practice a variety of key math skills that they've learned so far this year. 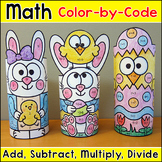 This egg-celent themed math activity includes a wide variety of problems that include addition, subtraction, missing number addition and subtraction, and adding three numbers. 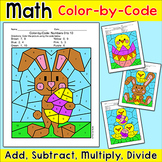 All math problems can be completed using mental math, and after students color the egg sections based on a number code. 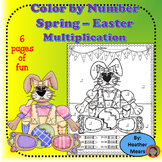 6 April color by number pages. 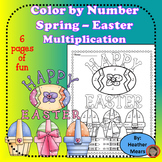 Each page is available in the numbers 1-10 and 11-20. So there are 12 total pages. These are great for morning work! 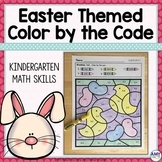 They also reinforce number identification and color words. 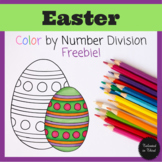 Your students will love this fun Easter themed color by number! 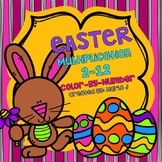 It is a bunny, perfect for spring! I like to use these for morning work, or math centers! 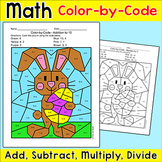 This is color by number counting by 5's! Border by On the Pond, Image by Scrappindoodle. 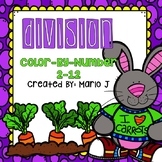 Do your students like to color? 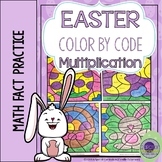 Or do they need a little extra practice with multiplication? 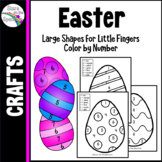 Here are practice sheets 2-12, all Easter themed!